A woman accused of murdering a holidaymaker outside a seaside bar told a court she acted in self-defence. 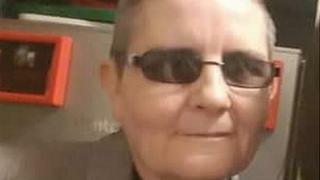 Caroline Fisher, 52, from Nottinghamshire, died in hospital in the early hours of 21 July after a fight outside Buzz Bar in Ingoldmells, near Skegness. Hayley Fletcher and Leon Wadsworth deny murder in a trial at Lincoln Crown Court. Ms Fletcher said she was petrified after being attacked. She told the court she went outside the bar to calm down her co-defendant Mr Wadsworth, 31, after he was involved in an argument with his partner. Ms Fletcher, 31, said that when she was outside she heard a woman say, 'It's her there'. "All I remember from that is my head being down. At the time I thought it was the lady [Caroline Fisher]. It was an unprovoked attack on myself," she said. "I didn't know what I was hit with. I thought it was a bottle or a glass. I was petrified. When I was being hit I felt she wanted to kill me." Ms Fletcher, of Paper Mill Road, Sheffield, told the jury she "didn't really have time to make sense of what was going on" but said the woman who attacked her was trying to get back off the floor. Fearing for her own safety, she said she kicked the woman. "I didn't think I connected the first time. That's why I kicked again," she told the court. Ms Fisher died a short time later after suffering a traumatic brain injury. Mr Wadsworth, of Milnrow Road, Sheffield, previously admitted punching Ms Fisher to stop her attacking Ms Fletcher. However, he told the trial he did not intend to kill her or cause serious harm.